The Ontario Hot Mix Producers Association (OHMPA) announced their new Executive Director is Vince Aurilio. Aurilio comes from DBA Engineering Ltd. where he served as Manager of Pavement Engineering Services for six years. He brings over 30 years of experience working in both the public and private sectors mainly in pavement materials engineering, including a six-year stint as OHMPA’s Technical Director from 1999 to 2005. During his career, Aurilio also served as the Senior Bituminous Engineer for the Ontario Ministry of Transportation from 1990 to 1994. He has been actively involved in the implementation of Superpave and the development of Hot Mix Asphalt (HMA) technologies, such as Stone Mastic Asphalt (SMA) and Perpetual Pavements in Ontario. 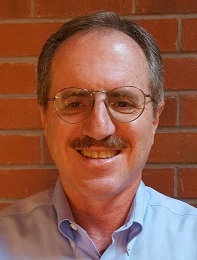 He authored many technical papers, presented at various key industry functions and is a current member of the Canadian Technical Asphalt Association (President in 2006), Association of Asphalt Paving Technologists and sits on the Transportation Research Board (TRB) Committee on Quality Management in Construction. Aurilio graduated from the University of Toronto with a B.A.Sc. in Civil Engineering in 1982.